Luscious fairways, golden deserts, sweeping lakes and mesmeric views. Golf in the United Arab Emirates appeals more than a 4-inch birdie putt. The UAE is a federation of seven emirates - Dubai, Abu Dhabi, Ajman, Sharjah, Umm al-Qaiwain, Ras al-Khaimah and Fujairah - that were consitututed in 1971 when the British withdrew from the oil rich Gulf. While golf continues to grow in the region, particularly in its capital, Abu Dhabi, it is Dubai that often proves the biggest drawcard for players with its expansive range of luxurious courses and lavish hotels. There are little more than 20 courses to choose from in this golf-rich region, but there are 10 that stand out from the crowd. Set among rolling hills and delicate mangrove plantations, Yas Links – designed by world renowned architect Kyle Phillips – is the Middle East’s only true links course. Nestled on the western shores of Yas Island, Abu Dhabi’s landmark entertainment destination, every daunting, dynamic hole has sparkling coastline views of the Arabian Gulf – with eight running right up along the coastline. Its stunning character is typified by the signature par-3 17th. Shaped around an inlet in the coastline that forms a tranquil bay, the hole requires an accurate approach shot to avoid the dune bunkers surrounding the green. The par-72 championship course stretches to a demanding 7,450 yards, while a nine-hole par 3 academy course, floodlit practice facilities and luxurious clubhouse further complement the offering. Served by seven nearby hotels, including the iconic, five-star Yas Viceroy Hotel – the only hotel in the world straddling a Formula 1 track – Yas Links is distinguished by private boat mooring and a fine dining restaurant, with stunning views of Abu Dhabi’s 21st century skyline thrown in for free. The flagship Majlis Championship Course at Emirates Golf Club is a challenging par 72, 7,301-yard layout that features hundreds of indigenous species of flora and fauna, beautifully complemented by meandering fairways and seven fresh and saltwater lakes. Acting as the first grass course in the Middle East, the Majlis Course takes its name from the Arabic word for 'meeting place'. 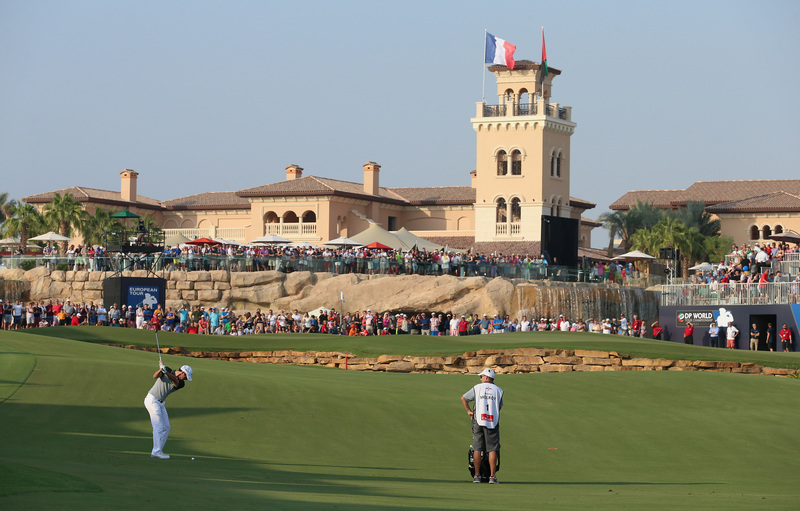 One of the most prominent features on the course is the Majlis building itself positioned between the eighth and ninth holes and a Dubai landmark since 1988. 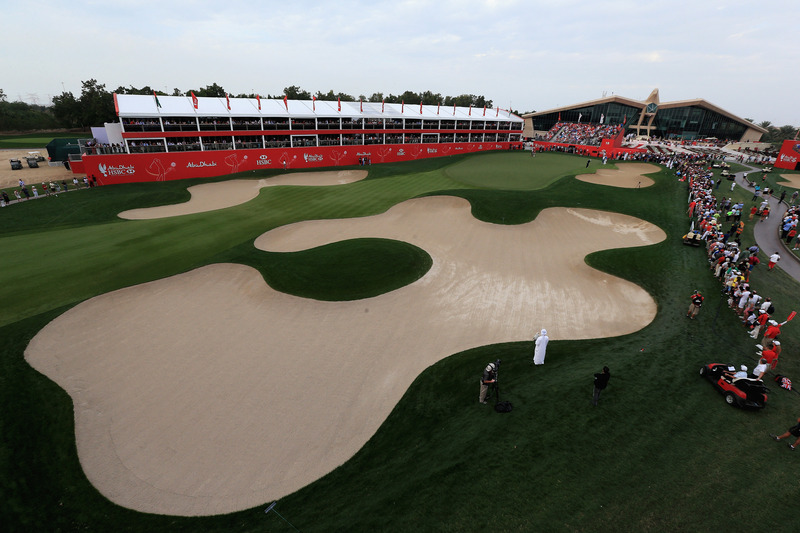 Within a month of opening the most important regional golf tournament - the Pan-Arab - was taking place on the newly named Majlis course, but the club hit the big time in 1989 when hosting its first European Tour event, the Dubai Desert Classic. Twenty four years later, and this tournament reaches hundreds of millions of golf fans around the world. The event has been won by Rory McIlroy, pictured above, on two occasions in 2009 and 2015. Arguably the most challenging hole on the course is the par-4 eighth. Playing a full 434 yards, it has the unusual distinction of playing up-hill and requires a long, well directed drive to leave a reasonable second shot to its small, undulating green where the dreaded three-putt is always a threat. 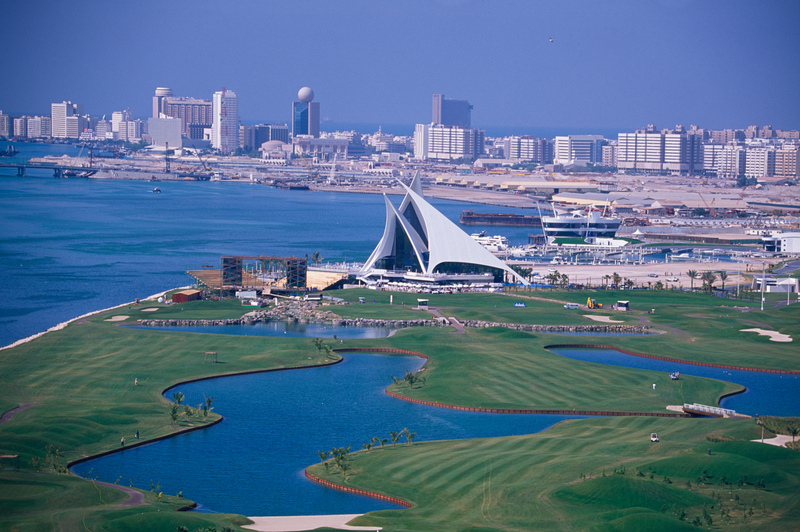 Abu Dhabi Golf Club features two different courses, with the headline offering coming in the shape of the National Course – the traditional home to the European Tour's annual Abu Dhabi HSBC Golf Championship. The par-72 National Course covers 7,334 yards of lush fairways, undulating greens and more than 90 challenging bunkers. The par-3 12th is arguably the most photographed and aesthetically stunning at Abu Dhabi Golf Club. With a lake protecting the front of the green and an imposing rock-wall serving as a menacing backdrop, a precise iron is required to stand any chance of a birdie. Players are greeted at the 18th green, pictured above, by one of the most iconic clubhouses in the world; a building that features a vast winged falcon perched atop a golf ball. Drawing on a lifelong love of links golf, four-time major champion Ernie Els set about creating The Els Club and transforming its desert landscape. Featuring undulations and strong elevation changes for visual and strategic interest, Els modelled sandy waste areas and incorporated native grasses and vegetation between wide fairways to enhance the links effect. At 7,538 yards from the tips this is a test for the best, but four sets of teeing areas mean players of all standards can enjoy the challenge. The greenside protection system consists of sculpted bunkers, grassy swales and imaginatively designed greens featuring fine-textured Bermuda grass that are conducive to smooth, fast putting surfaces all year round. The club is also home to the state of the art Butch Harmon School of Golf, featuring outdoor full swing, short game and putting areas as well as indoor swing and putting studios as well as a gym. As the newest golf course in the Middle East, the stunning Al Zorah Golf Club is designed by the famed Nicklaus Design and will open its doors officially in mid-December 2015. 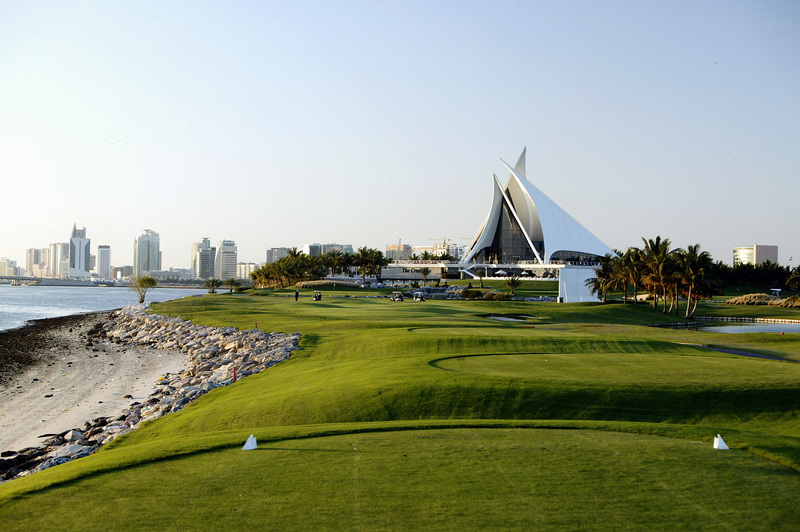 The spectacular par-72 course can be found in Ajman, conveniently located close to Dubai and its popular landmarks. Promoted as a truly welcoming facility, Al Zorah certainly takes the golfer’s breath away with its captivating 18-hole championship layout set amongst a spectacular naturally preserved environment of native sandy areas, lakes and one million square metres of mangroves. As Ajman’s first golf course and Nicklaus Design’s first solo project in the Middle East, Al Zorah Golf Club really does catch the eye with pristinely manicured fairways and greens alongside an abundance of natural wildlife, 12 km of waterfront and a tidal system that alters the dynamics of the course on an hourly basis. Representing the region’s first ocean course, the Gary Player-designed masterpiece respectfully harnesses the natural beauty of Saadiyat Island’s magnificent, white sand beaches for a truly unique playing experience. Three salt water lakes and restored beach and sand dunes provide majestic on-course hazards, while more than 60 bunkers force even the bravest to pause for thought. Each hole presents a unique challenge at Saadiyat Beach Golf Club. Just a 20-minute drive from Abu Dhabi International Airport, the Troon Golf-managed Saadiyat Beach Golf Club is designed with amateurs and professionals in mind. Carefully positioned tee boxes ensure the total yardage starts at 5,290, although the course can be extended to an impressive 7,784 yards for pros. With the meandering, eco-conscious course providing stunning sea views, there’s also the chance to spot dolphins and turtles at play in the glistening Arabian Gulf. One of the standout holes comes at the 11th, named Player’s Alley, where golfers can see Gary Player’s hand prints and signature cast in a concrete plaque. 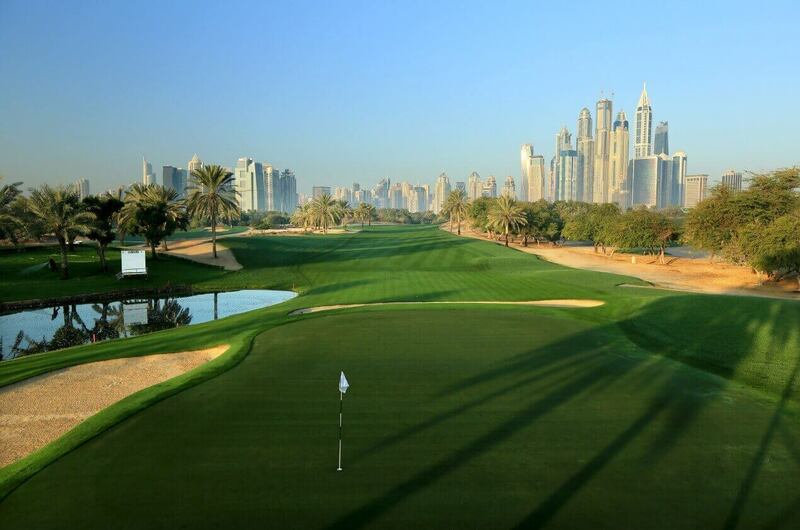 Inspired by the great parkland courses of Europe and North America, the Earth Course is home to this week's DP World Tour Championship in Dubai. 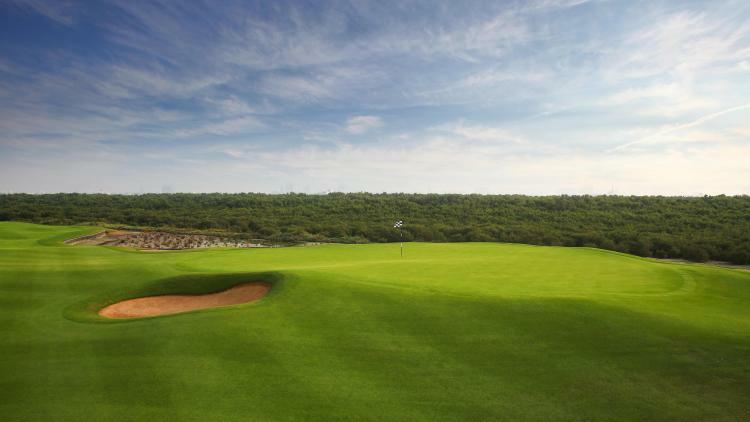 Greg Norman's designed Earth Course features rolling fairways, brilliant white bunkering and deep red ochre landscape are framed by a plethora of trees and shrubs making each hole picture perfect. The abundance of nature is reflected in the many lakes throughout the experience which are home to a myriad of wildlife. The journey is concluded where the last four holes play alongside or over water culminating in a meandering creek running the full length of the final hole. Henrik Stenson, pictured above en route to winning the DP World Tour Championship in 2014, represents Jumeirah Golf Estates as brand ambassador. While a golf connoisseur does expect the best of off-course facilities, nothing excites a golfer as much as the quality of the golf courses itself. And whether it is the design, the ambience, the challenge level, the efficiency of operations, or the immaculate maintenance - it just doesn't get any better than at Dubai Creek Golf & Yacht Club. This par-71 course measures 6,967 yards and features superbly manicured fairways that are undulating, demarcated by mounds, palm trees and water. Apart from the creek, which comes into play on at least four holes, several artificial lakes add to the beauty and difficulty of various other holes. Golf does not end at sunset at Dubai Creek as the feature packed par-3 course, a well-equipped driving range and the club's outstanding practice facilities are all floodlit to allow play late into the night. 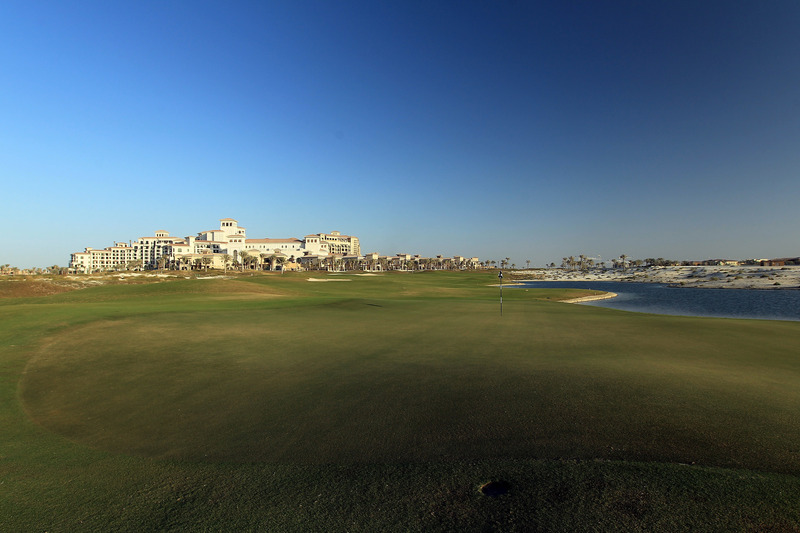 Al Badia Golf Club is an 18-hole, championship golf course designed by the renowned Robert Trent Jones II. The layout features an award-winning clubhouse, four dynamic restaurants, event spaces and a luxurious spa. Al Badia, a par-72 course that was designed on an oasis theme, features abundant water, rivers of sand and plants indigenous to the Arabian Gulf. The prestigious course can be played from the maximum 7,388 yards for championship players, down to 5,398 yards for newer players. Boasting vast greens flanked by swaying palms, as well as undulated fairways dotted with bunkers and glistening lakes, The Address Montgomerie has become an icon of golf in the Middle East, consistently ranked as one of the top courses in the region. Professionally designed and magnificently sculpted, the 7,396-yard Championship course combines the great traditions of Scottish links golf within a stunning Arabian environment. 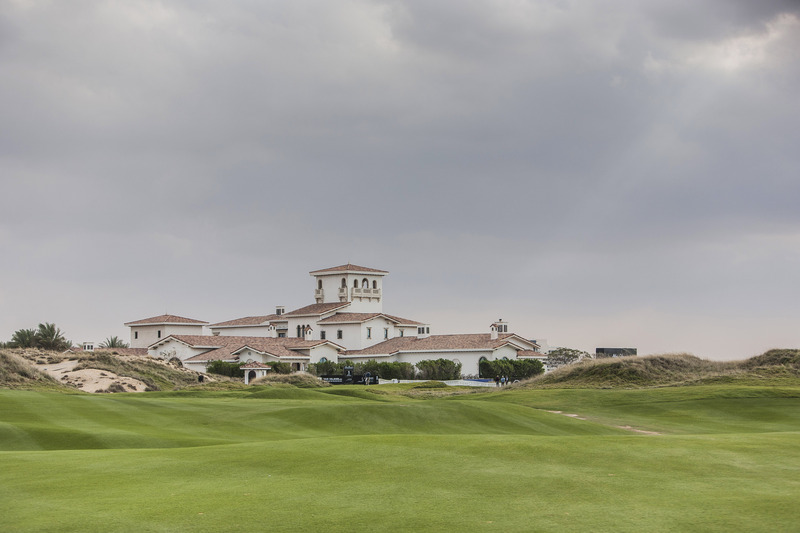 Further adding to The Montgomerie's solid reputation, the boutique styled clubhouse is now managed by The Address Hotels + Resorts, which extends the same quality, eye for detail and signature service that is enrolled at all of its hotels in Dubai. Played golf in the UAE before? If so, where did you play and what was your experience like? Share your thoughts in the forum thread below, on Twitter, Facebook, Instagram or visit us on YouTube.